THE Chinese fashion brand that designed clothes for the country’s new first lady has turned down the chance to make a fortune from her endorsement. It says it flattered by all the attention but no similar items will be on offer to the public. 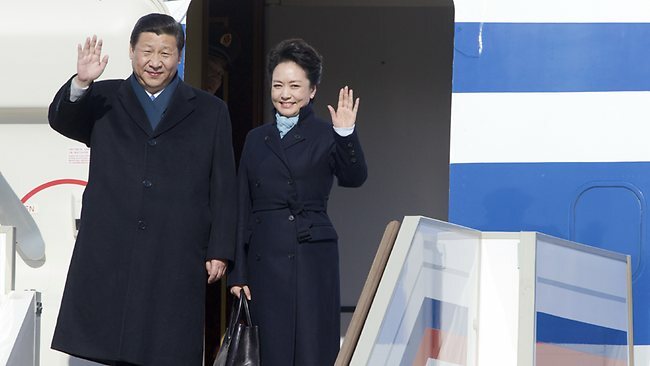 Peng Liyuan, long a household name in China as a military folk singer, has set off a media and internet frenzy with her elegant style as she accompanies husband President Xi Jinping on a state visit to Russia and African countries. Photographs of the couple were plastered across state media front pages. Picture slide shows on major Chinese web portals put the focus on Ms Peng instead of her husband, an unusual approach to political news coverage in the country. Her prominence is a marked contrast to recent first ladies, who were rarely seen, and commentators have proclaimed it a step forward for Beijing’s "soft power". Even though none of Ms Peng’s apparel bore conspicuous logos, intrigued internet users still managed to identify one manufacturer as Exception, a Chinese brand based in the southern city of Guangzhou. For days the company kept silent despite its apparent publicity windfall, declining repeated requests for comment. Finally yesterday it confirmed in a statement posted on its verified weibo, a Chinese equivalent of Twitter, that it made some of Peng’s clothes, together with Wuyong, another Chinese label. Her choice showed "trust and support for national brands", it added. But it had no plans to offer Peng’s admirers the opportunity to imitate her, it said. "On this occasion the design and manufacturing are specialised and custom-made and the items are not for sale publicly," it said. But other business-minded Chinese vendors are cashing in on the enthusiasm. Imitations of Peng’s clothes were being offered on Taobao, China’s biggest online marketplace, within hours of her stepping off the plane in Moscow. A trenchcoat resembling the one she wore then was available for 1822 yuan ($277) in a Taobao shop yesterday.